Brittany Chambers: Can you walk us through the method’s five key principles? 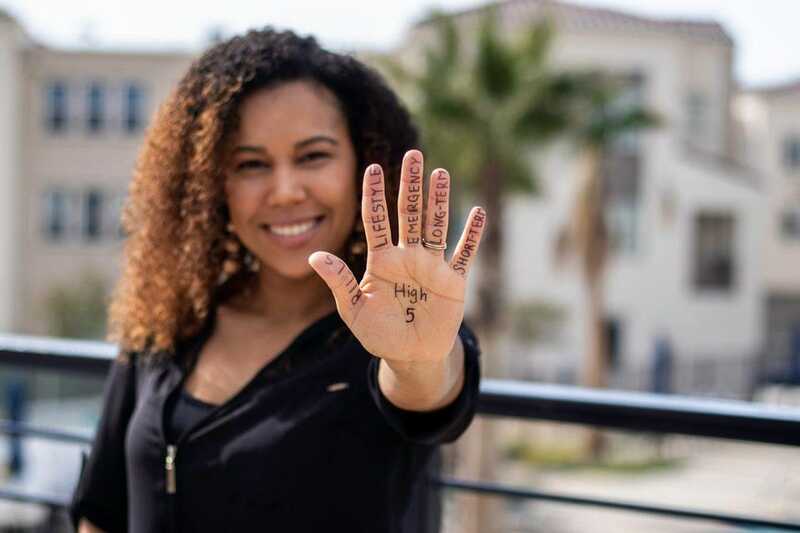 Brittany Chambers: For someone who is looking to start budgeting towards each of the high-5 categories, how would you recommend they start? Sahirenys Pierce: Budget according to your priorities and do a check-up following each category. Meaning, see how much money you have left after each category and find cuts in your lifestyle expenses if need be. At the end of the day, we all have to keep track of our spending and we should only place the amount needed in the appropriate checking and saving accounts to maximize our income. Brittany Chambers: What should someone practicing the high-5 method keep in mind when setting up each of the five bank accounts? How can they make it seamless and easy to manage? Sahirenys Pierce: I would say to do your research on how your bank charges fees. I know for me I use more than one bank to manage my finances and I use the Mint app as a reference for all of my accounts. It makes it easy to manage all of my accounts from one place and that includes my retirement accounts. Also, remember that everyone is at different stages in their finance pursuits. Only open the accounts that are appropriate for your situation. For example, if you don’t have long-term goals currently then don’t force that account until you are ready for that step in your journey. Brittany Chambers: Any best tips for saving? Sahirenys Pierce: Save with purpose and strive to maximize your results, my go-to recommendation has always been to automate your savings . I would also add to automate these savings in a high-yield online savings account that isn’t with your primary bank. If you think about it this is how most retirement accounts, like 401(k)s, are set up. This strategy is effective because the money is taken out before you see it and placed into an account that you don’t have daily access to. The rationale is that you won’t see it so you won’t touch it. Another reason that I am a big fan of high-yield online savings accounts is that your money can grow at an annual percentage yield (APY) of 2.20%, which means your savings is making money instead of making pennies at your traditional bank. Brittany Chambers: I recently learned of the 52-week challenge where you save $1 the first week, $2 the second week, $3 the third week, and so forth until you put away $52 at the end of the year on week 52—saving a total of $1,378 in a year. What do you think about this plan? Any others you would recommend? Sahirenys Pierce: This challenge works if you are a competitive person who likes challenges. The only problem that I see with this method is that people tend to stop saving once the challenge is over or they quit within the first few months. I would recommend setting these types of saving challenges with a purpose like saving for an emergency fund or for a specific goal. This way you don’t get tempted to quite the challenge and it encourages you to continue this method to reach other goals. Brittany Chambers: Countless studies have illustrated that a large number of Millennials, to date, lag far behind where their parents were financially when they were their ages. What are some alternate routes for wealth building you recommend to help Millennials bridge those financial divides? Sahirenys Pierce: For the Millennials in my community, this study falls short, since on average many of us still serve as the first generation in our families to have college degrees. Back in the day, a degree was not required for a good job with financial stability, but today a degree is required to attain a good job with the same level of financial stability as the generation before us. Unfortunately, this comes with a massive amount of student loan debt, meaning that we are starting the race to financial freedom behind the starting line. This doesn’t mean we won’t catch up or exceed our parent’s generation, it just means that we have different hurdles to get over before crossing the finish line. What we can do now is maximize our financial education, which will help us manage our incomes and lead to more balanced financial lifestyles. 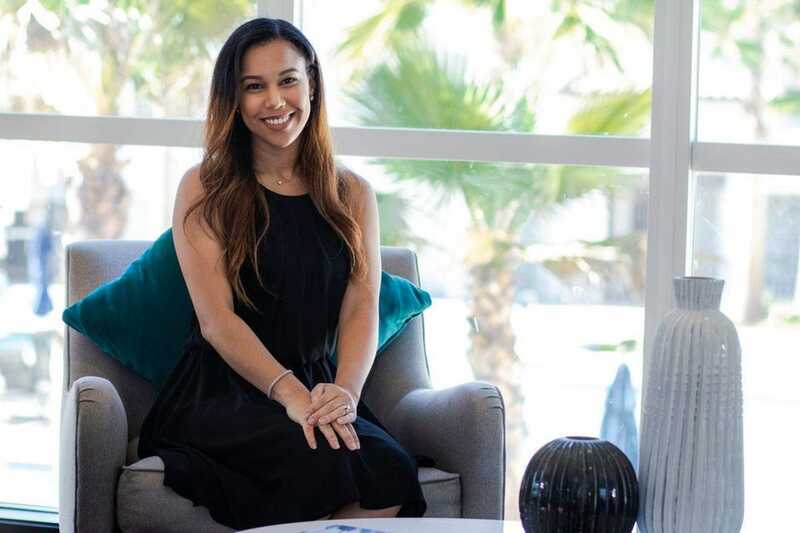 Brittany Chambers: A recent article also took the internet by storm on how Millennials may in some instances have become the “burnout generation.” It recommends that this is due to the reinforced feeling of needing to work constantly. Do you have any advice that would support Millennials in leveraging their financial opportunities to prevent burnout? Sahirenys Pierce: Society’s requirements have gotten so unrealistic that burnout is going to occur when trying to chase the “things” that the previous generations didn’t have to. We are being advised to have a good work-life balance, go on vacation, workout, make a ton of money, buy a home, get out of debt, and the list goes on and on. You can feel constantly attacked for not being perfect. I think we need to slow down with putting so many requirements on Millennials and pushing the need to do certain things by a certain time. You don’t have to outperform and constantly work to be accepted by society, maybe society needs to get your acceptance letter first. On the other hand, a lot of Millennials and older generations are taking full advantage of side gigs that technology now affords like Airbnb and Uber. They are looking for ways to make extra money instead of depending on one income. The burnout might just be temporary to achieve a certain financial goal or related to trust issues with traditional employment processes. Brittany Chambers: If we were to take a look at your bookshelf, what financial books would we find? Any, in particular, you would recommend for someone interested in learning more about finance? Sahirenys Pierce: Rich Dad Poor Dad, Total Money Makeover, and Think and Grow Rich for Women. Some of these books my Dad read to me when I was a little girl in elementary school. I naturally grew up with these financial classics. I also like the non-traditional financial books that challenge your mindset like Who Moved My Cheese, where you learn how to adapt and adjust to new situations. I believe both the soft and hard skills are invaluable while on your unique financial journey. Brittany Chambers: For someone looking to make a lasting shift in their views about their finances—including budgeting, saving, and making investments—do you have an inspirational quote you would share?